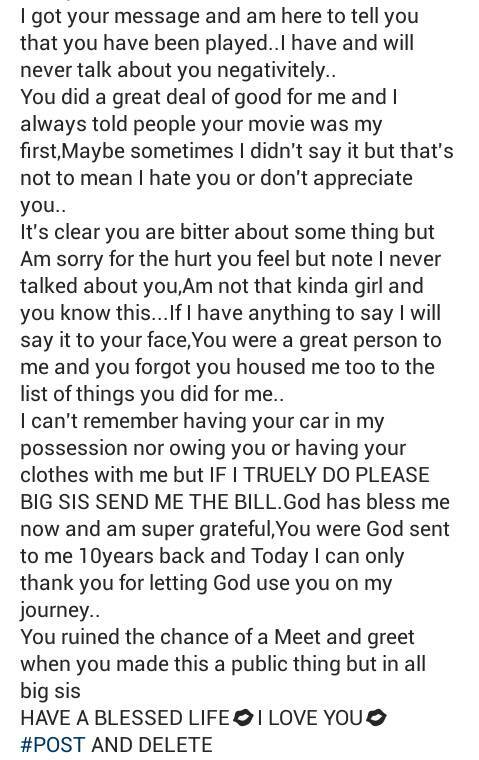 Nollywood actress Tonto Dikeh and filmmaker Ada Slim got into an altercation on social media yesterday. 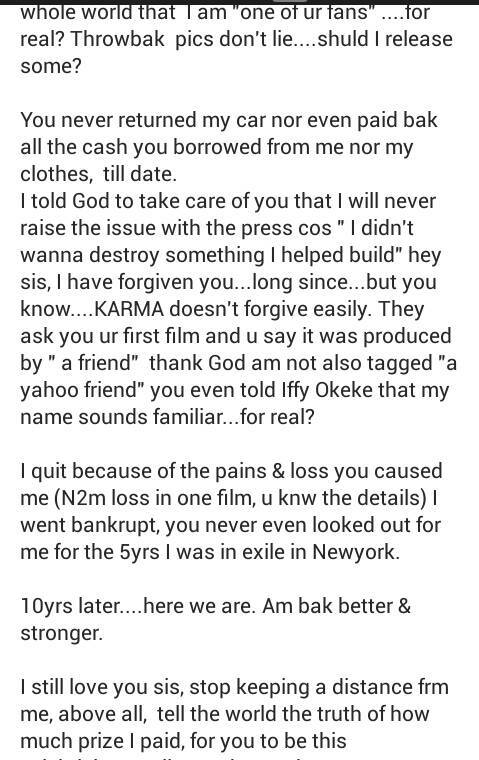 The saga started when the filmmaker took to her page yesterday morning to accuse the actress or mocking her behind her back, dismissing her as a “fan”, an alleged comment that didn’t sit too well with the filmmaker. 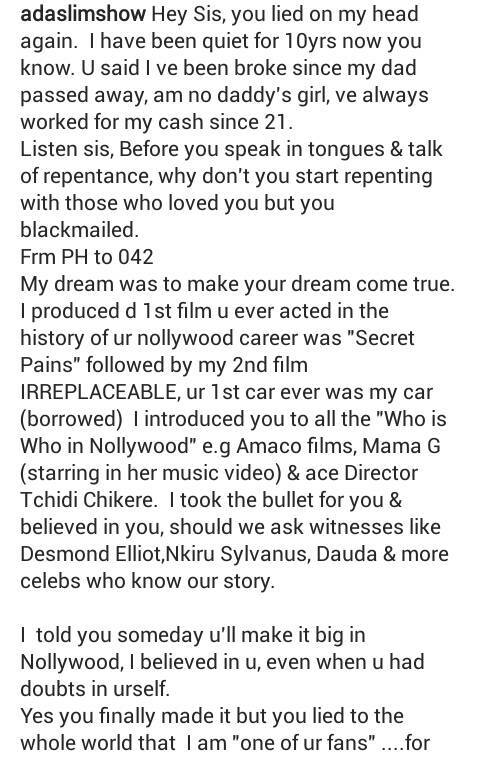 Tonto Dikeh later replied saying she never lied on Ada Slim, never dismissed her. After reading her reply, Ada Skim took to herInstagram page this morning to share the photo below. 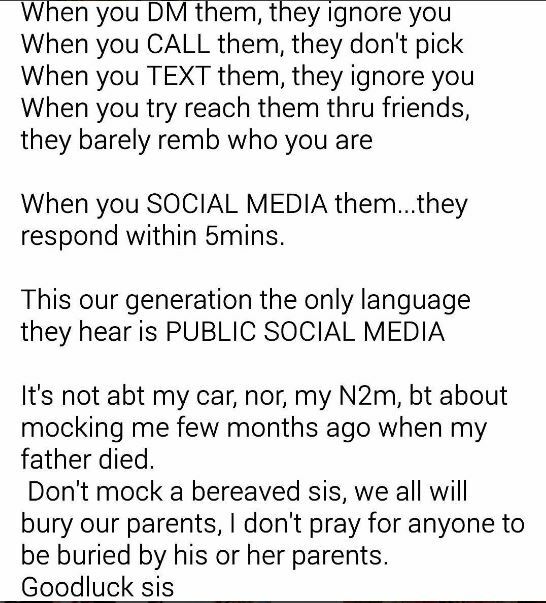 The both of the have since deleted thier posts from their respective Instagram pages.